X-rays offer an excellent diagnostic tool for oral health issues. 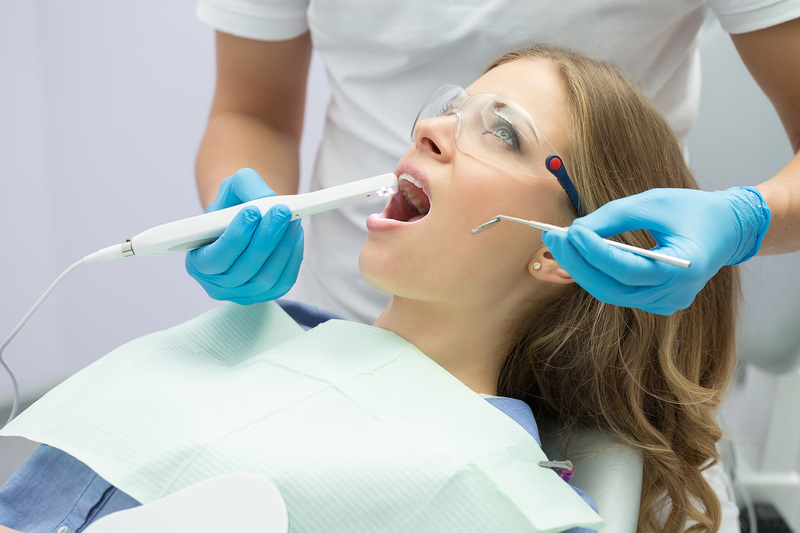 However, with the intraoral camera available at Avalon Dental Care, we can now accurately assess all your dental needs to a greater extent, allowing us to unveil dental problems in areas of your mouth that x-rays cannot show. An intraoral camera is a tiny digital camera used by dentists to capture images of hard to reach areas in the mouth. The device is the size and shape of a pen and is covered with a disposable sheath to ensure no transmission of germs from one patient to another. One of the most significant advantages of the intraoral camera is it does not expose patients to radiation. When inserted into the mouth, intraoral cameras can record clear pictures of every tooth and transmit them onto a television screen in movie format. The captured images can be frozen and magnified more than 30x enabling our patients and us to view every aspect of each tooth in full color. Intraoral cameras offer a comfortable means of providing a comprehensive assessment of the overall oral condition. Their main advantage is allowing patients to get involved in the process of diagnosis, giving them a better understanding of the problem and the proposed treatment. Intraoral cameras help educate patients and improve preventative care by exposing areas where home hygiene may be deficient. Using intraoral cameras, we can easily examine gum conditions, teeth surfaces, and other minute details about tissues, cavities, damage to fillings, hairline fractures, plaque, and more, that cannot be seen by the naked eye. This information helps us create effective treatment plans. Intraoral cameras help diagnose hidden dental health problems such as gum disease, or oral cancer, among others, in their earliest stages. Detecting dental disease early on allows for less invasive, painful, costly, and time-consuming treatments. Our experienced and caring team at Avalon Dental Care offers the personalized treatment you deserve using state-of-the-art technology. Contact us today for exceptional and comprehensive dental care!